For Drew Brophy, surfing and making art isn't just fun, it's a way of life. 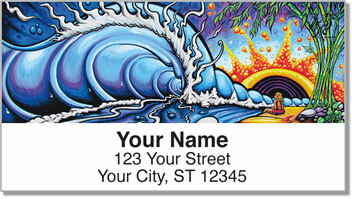 In addition to his psychedelic designs and vibrant murals, he also paints on surfboards and the sides of van. 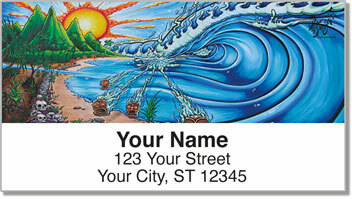 He and his wife and business partner Maria Brophy also love to travel as part of their artistic living. 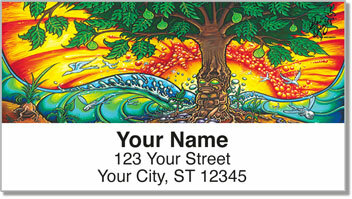 "My greatest inspiration comes from my adventures of surfing, standup paddling and traveling. I spend several months a year exploring rivers, lakes and oceans all over the planet," he says. 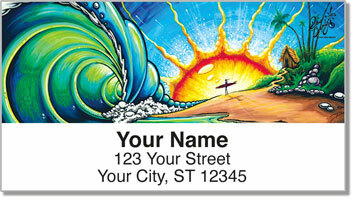 Get these far-out designs today on our self-adhesive address labels and learn to ride the waves.